Our Family and Cultural Roots Program has even reached Angola. We have eventually traced and reunited siblings of a family who were separated as they walked from war-torn Burundi in 1993. The mother and four daughters arrived in Cape Town and made contact with Ons Plek, but the two boys were not with them. We organized schools for the three school-going sisters, who settled at Ons Plek. Once the two brothers were located in Angola, arrangements had to be made to bring them to Cape Town to join the mother and four sisters (plus the eldest brother who was here before them). It was then that a sponsor came forward. After two long weeks the boys arrived in Cape Town and were brought to Ons Plek, before being taken to the mother’s home. There was great excitement! The brothers and sisters were reunited! An emotional experience for us all! Yashmeen (not her real name), the eldest of the sisters in our care, gave us permission to publish her letter to Ons Plek. 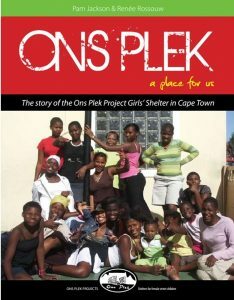 “A Big Thanks to Ons Plek Projects. We are very grateful for your support. We don’t know how we can thank you? The day we left ‘Bonne Esperance’, a refugee house, we thought our lives ended there. But since we found you, it was the beginning of life. We have found happiness in you ‘staying at Ons Plek’. We very much enjoy it. And now you supported us to fetch our brothers from Angola. Thanks so much.